The last few weeks, I have been helping a Website HELP Wednesday client set up WooCommerce. I was surprised to find how many places that process has some unneeded confusions due to bad UI (user interface) design. So, I thought I would install WooComerce on my own site and detail the process. For my case study, I will set up a shopping cart where people can purchase hours of web development time. Since about 2002, most of the time, I have had one or two e-commerce clients . In those old days, Miva Merchant was one of the quality options. I was quite surprised to find that Miva Merchant is still available now. In the last of the 90s and early 2000s quite a few website owners had homegrown shopping cart systems, developed by their website programmer. Security wasn’t much of a consideration, in many of those early projects. In fact, a year or so ago, I ran into one that had duplicate database tables holding client information, including credit card information. The only encryption was an MD5 on the credit card number values. The client’s additional information, including expiration date and CSV number were in the database in clear text … and on an insecure host using server software that hadn’t been updated for 5 years or more. Because of the liability of even storing the credit card information, I refused to even back that system up. Today, Miva Merchant has significant competition, which means a site owner has many options. Some of them are online in their own system, such as Shopify. These are called web services or SaaS (software as a service). 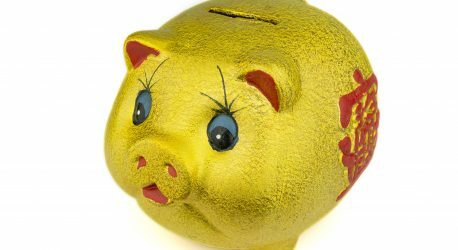 Others are software packages you can add to your website pretty much wherever it is hosted, such as WooCommerce added as a plugin to WordPress. Both methods (SaaS and installed software) have their benefits and drawbacks. Whatever the system you choose, you will find features that impress and others that frustrate. Some of the frustration points are UX (user experience) mistakes on the part of the software creators. Here, we will look at the process and bug-a-boo’s in WooCommerce, a free shopping cart plugin for WordPress. Plugin writers can change their plugins any time they want to. 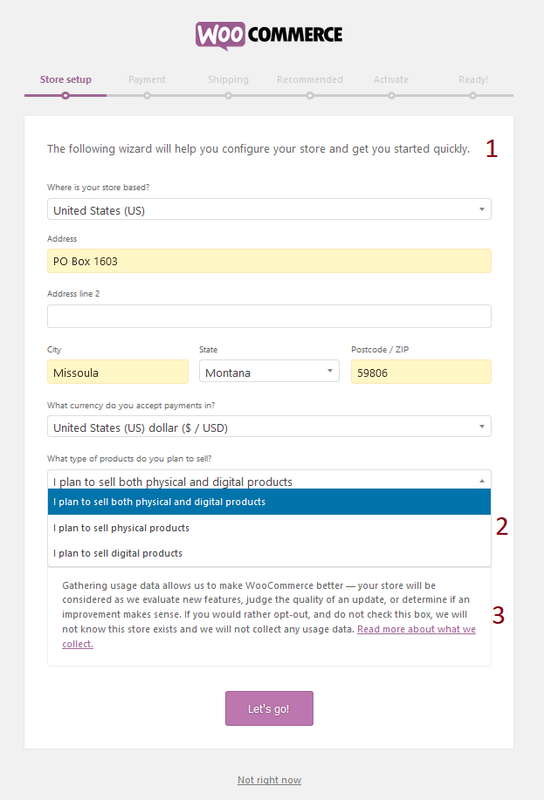 Since I have worked in WooCommerce before, I was surprised to find the Wizard pop up immediately on install (1). I curbed my annoyance and took a look. Address Fields: If you have a home-based business, just your address can be a problem. To protect your privacy, I suggest getting a PO Box. But, I have an office in an office building in Missoula, and yet I use a PO Box. That’s because walk-in traffic is a problem for my workflow. When I don’t have appointments, I’m working on someone’s website. Walk-in traffic disrupts both my workflow and my schedule. Type of Product Field: One of the problems with many forms is when you are forced to make a choice, but your choice does not exist. My product is time. If I choose physical, shipping information will be part of the product information. If I choose digital, a download will be part of the product information. In my case, a schedule would be more appropriate. In Person Sales Field: This field does not show in the screenshot because it is covered by the dropdown, but you can check whether items will be sold in person. This is important in that it affects your inventory. If your site says that there are 5 items in stock, but someone sells one in person, someone could order an item that is not available.